Tourists have landed in mountain towns across the Rocky Mountains and are looking for activities. Skiing is the main draw and reason for being in the mountains during the snowy months. Providing the opportunity to explore the mountains through other venues deepens ones appreciation for the high country. Snowmobiling and snowshoeing are a few of the alternate activities we can choose. But it is the inquisitive nature of people to want to explore ice fishing. However there are many misconceptions and misunderstandings surrounding this activity. Lets take a moment to address five common ice fishing myths. 1. We will be cold. True it takes the wintertime temperatures to create the ice necessary for ice fishing, but those thermometer busting nighttime temperatures don’t often translate into frigid days. The abundance of warm, blue-bird sky days in the Colorado mountains during the winter can transform a cold night into a sun burning, t-shirt under a light vest kind of day. Ice and snow reflect light while ice fishing warming the air into remarkably pleasant temperatures. The Guides at Vail Valley Anglers come prepared for extreme weather with tables for gear and lunches, chairs to keep you off the ice and attentive to your fishing and with ice fishing shelters to escape the wind and snow if necessary. Our ice fishing shelters serve a variety of purposes while out on the ice from providing shelter from the elements, darkening the surface light allowing anglers to peer into the clear water of the lake through their ice fishing hole as well as to provide a place for an underwater camera for viewing the depths below you in real time. Watching a fish you coerced into eating through the 15 inches of ice underneath you is surprisingly invigorating. Most visitors to the mountains in the winter have packed adequate clothing for skiing or other outdoor adventures. The same clothing can provide the layers necessary to keep warm while ice fishing. The only addition is a decent pair of insulated waterproof boots. Modern day conveniences like air activated hand and toe warmers keep extremities toasty warm and can rewarm fingers chilled from releasing a rainbow trout back into the lake. Portable heaters insure a warm tent for anglers as well. The sun can warm the tents easily but the addition of portable heaters guarantees a temperate area should and angler need to seek refuge from the wind. We are never really far from vehicles and the warmth and security they provide. 2. We have to use bait and can’t use flies. Another common thought is that you have to feed a fish to get it to eat in the winter. Well, you can fool them too. Ice anglers have for years used small jigs, flashy spoons and soft plastic baits to entice a bite. Recently guides have been using some of the same weighted nymphs employed during warmer months as subsurface offerings through the ice. Trout are routinely caught on flies suspended in the water column under the ice. 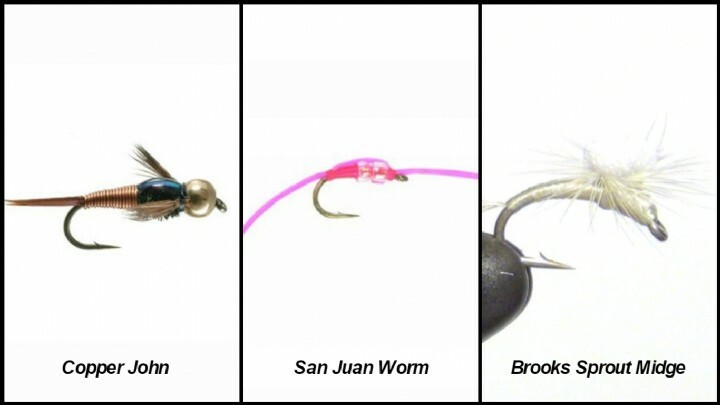 While we carry a variety of things to use when on ice fishing trips from flies to salmon eggs and powerbaits of all sizes and configurations like earthworms, chunk baits or my personal favorite the Honey Worm it is not necessary to have to bait a hook to attain success. Small feather jigs move and breath with a life of their own from small rods movements and underwater currents. Careful attention to your fishing can often prevent a fish from eating a bait too deeply therefore assisting in releasing a healthy fish back into the lake. While we never downplay the serious nature of being safe, ice anglers never venture out onto ice of questionable thickness. The Colorado Division of Parks and Wildlife has suggested guidelines for ice thickness and what “hard water” can support. Four inches is the minimum thickness to support the weight of an individual. Six inches can usually support the weight of a snowmobile or ATV. And as a safety factor we are never far from our vehicles. The bodies of water we guide on are routinely monitored for ice thickness. Our guides spend a lot of time on hard water and have a first hand knowledge of ice thickness and lake conditions on all of our destinations. While your first adventure on the ice has a huge learning curve, the noises emanating from the shifting and settling ice shelf can be unnerving even for the experienced ice angler. Expect there to be some noise from shifting ice. 4. It is too hard. Ice fishing has a certain amount of work involved but the inventive nature of anglers has lessened the task. Ice augers powered by gas or battery have transformed the grueling task of drilling a hole through the ice into manageable levels. The fishing itself is of an easy nature with little movement necessary on some days. Many anglers experience success with a stagnant presentation and unmonitored pole. Ice anglers can often be seen scrambling across the ice for a rod that suddenly begins bouncing with life. Our guides have learned to leash their ice fishing rods to a chair or bucket to prevent a fish from stealing a rod completely. 5. It is not fun. 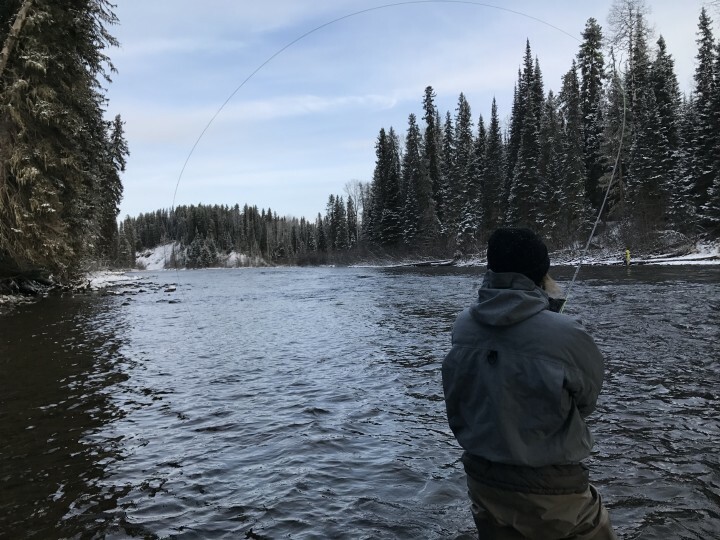 Explaining to someone how being on a frozen lake in the middle of winter fishing through a hole in the ice is enjoyable can be a daunting task for some, however the results from repeated trips upon the ice have reinforced the fun factor surrounding ice fishing. An adventure out onto a frozen lake is a pretty extreme task for most tourists. As professional guides it is part of our job to insure you have a good time. From catered lunches to weather beating shelters and even live streaming underwater video we carry the tools necessary to obtain an enjoyable experience. Making the trip a family adventure can really enhance the fun factor. There is nothing like seeing kids experience ice fishing. The genuine joy children experience is infectious. Merely standing outside the tent listening to the laughter coming from within is a joy. Take a moment to explore the outdoors of the Rocky Mountains and the vail valley in winter with alternative activities such as ice fishing. The experience Vail Valley Anglers guides provide is a unique way to expose tourists to new adventures. Give Vail Valley anglers a call to book your first ice fishing adventure. 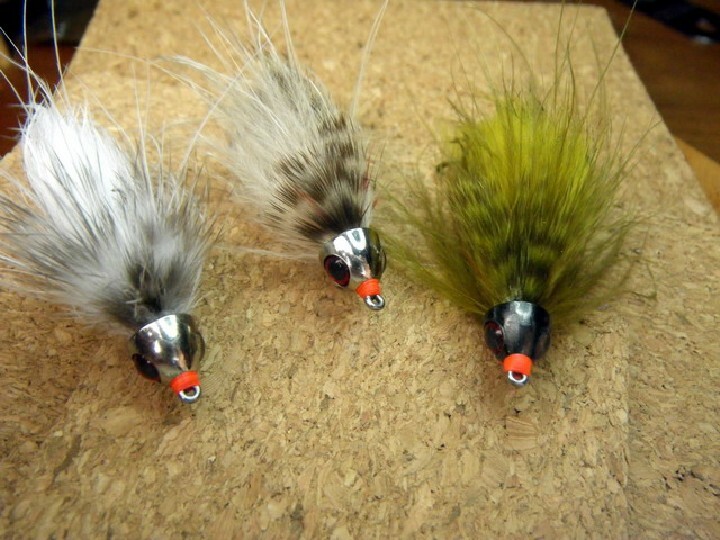 Besides Midges, What do Trout Eat all Winter?